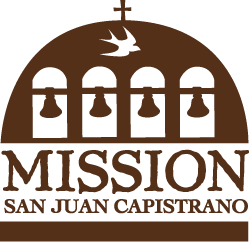 Monday – Friday: 11:15 a.m. & 1:00 p.m.
Visit Mission San Juan Capistrano historic landmark and museum as your tour destination. Guests not in a group now have the option of the guided tours offered Monday through Sunday. Guided tours truly enhance your experience at the mission, our interpretive guide does a wonderful job of hosting you through the 10 acres of museum rooms, exhibits, gardens, fountains and more. Providing you with the details of California’s early history and the birthplace of Orange County. Guided tours are available Monday through Sunday. 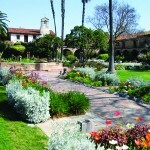 Tour duration is one hour (excluding Serra Chapel Tour which is 40 minutes) and do not require advance reservations. The guided tour covers highlights of the Mission and does not cover the entire site. Learn the facts about cliff swallows, view the swallows vocalization experiment and hear the legend of the Swallows of Capistrano.